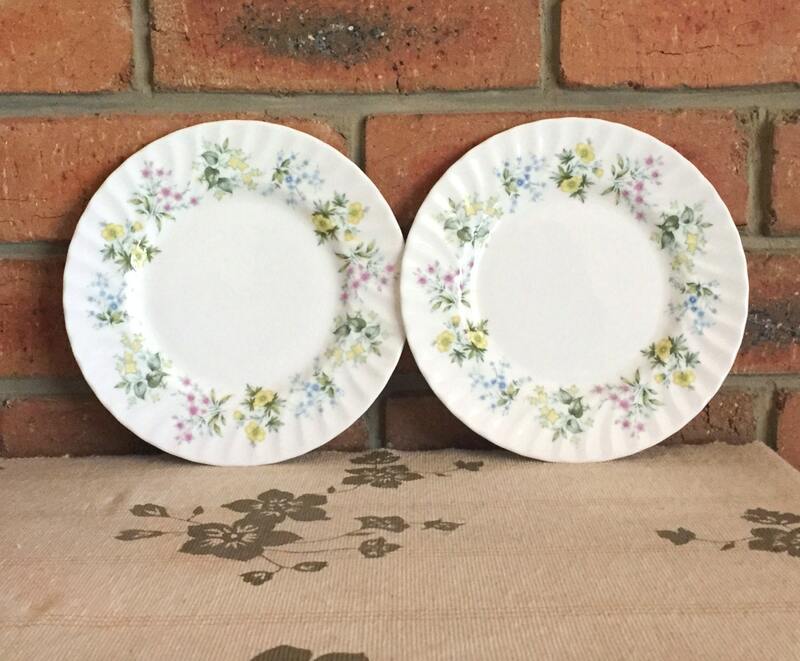 Gorgeous pair of Minton fine bone china entree side plates, in the Spring Valley pattern. 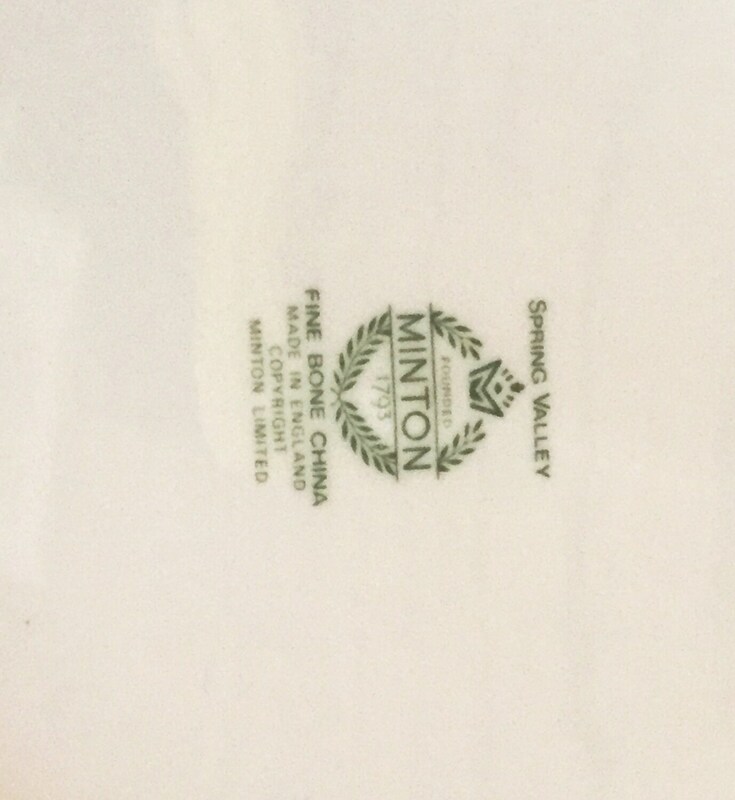 The backstamp dates this pair to the 1970s. The pattern has since been discontinued. 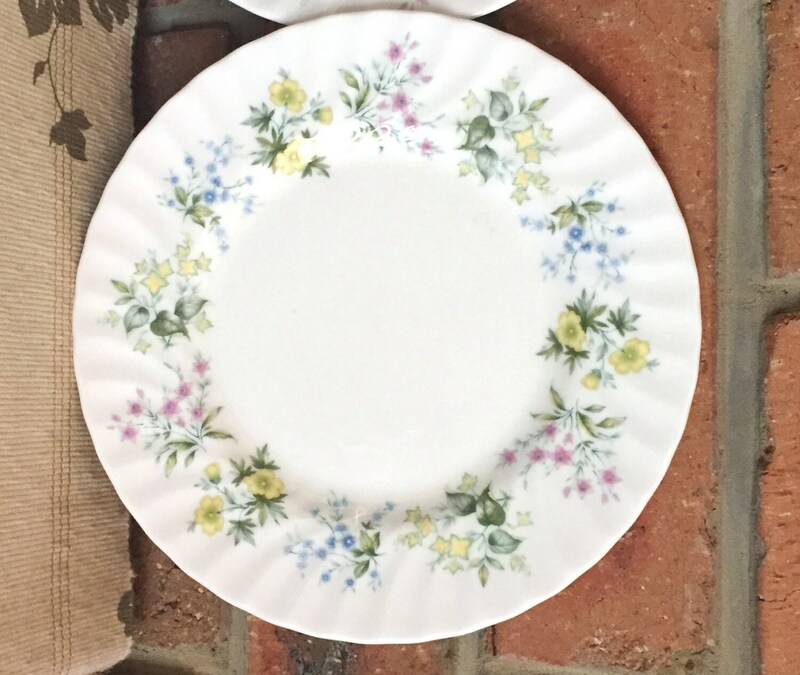 Both plates are in perfect condition with no damage or wear of any kind.